Major changes in New York drunk driving laws, including the recent passage of Leandra’s Law, have increased the range of circumstances that can lead to a felony DWI charge. No longer is this level of offense reserved for drivers with multiple convictions, repeat offenders and those who cause auto accidents. You may have been shocked to learn that you were facing a felony DWI charge due to those factors or because at the time of arrest you were driving with a child under 16 in your car. If you have been arrested for felony DWI, it is critical to consult an experienced NYC DWI lawyer who will spell out potential consequences and thoroughly investigate your specific case. 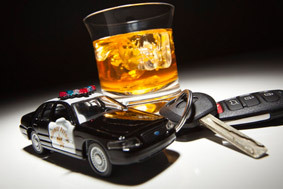 You can depend on a New York City felony DWI lawyer at Goldberg & Allen, LLP, to apply current, extensive knowledge of the law and in-depth knowledge gained as a high-level prosecutor in Kings County. Jail time is mandatory for a felony DWI conviction, and substantial prison sentences have become much more common than in the past. Other penalties include fines up to $10,000, long-term revocation of your driver’s license and required, extremely costly installation of an ignition interlock device in every vehicle you own or operate. Unfortunately, some attorneys who advertise heavily and promote low-cost DWI defense are “quick plea, quick fee” practitioners who will not look seriously at alternatives available for you. Many do not have current, in-depth knowledge of sentencing programs and forms of conditional discharge. When you are facing a felony DWI charge or DWI arrest, your future is truly on the line. We encourage you to contact our law firm for informed counsel and representation by a resourceful trial lawyer with a track record of success.